Did you know that 98% of marketing qualified leads (MQLs) never result in closed business? That is a scary statistic. Think about all of the work that goes into creating a website, landing pages and premium content offers to attract and convert website visitors into known leads. And then think about the additional work that it takes to move them from simply a qualified lead to an MQL. That statistic is more than scary – it’s also heart breaking for marketers. Only 2% of MQLs result in closed sales. Something has to change. If we are doing our jobs well on the front end – in the attract and convert phases – then certainly we can do better than 2% and produce more and better sales qualified leads (SQLs) that close! Thankfully, we can improve the results – through lead nurturing. In fact, nurtured leads produce, on average, a 20% increase in sales opportunities versus non-nurtured leads (Source: DemandGen). If you haven’t developed a lead nurturing program, now’s the time to get started. And if you have been nurturing, be sure that you’re doing it effectively. 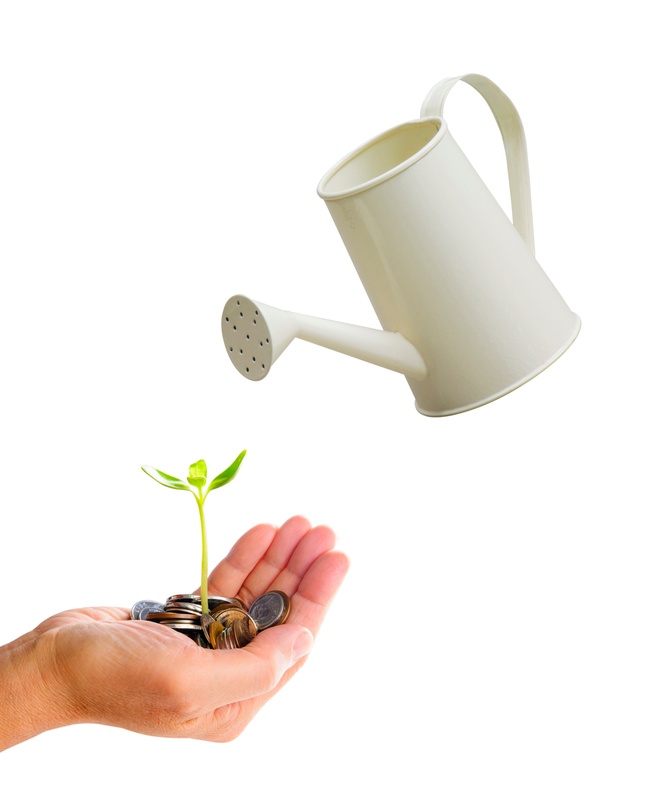 Developing effective lead nurturing programs can seem like a daunting task. Even with marketing automation, designing an effective program can be complicated. One of the things to consider is what type of lead nurturing campaign to create. Depending on your goals, there are several different approaches. Here are the three main types of lead nurturing campaigns. An engagement campaign works to keep your leads engaged in your business by offering credible, straightforward, uncomplicated content that retains their interest. Within this category are three types of campaigns. A welcome campaign introduces your value proposition to leads that are not familiar with you. These campaigns may be created to support your outbound prospecting efforts or to keep the conversation going with leads who have recently downloaded content from your website. This type of campaign puts your business in a position where you’re providing value before asking for something in return. that includes educational information relevant to your customers, based on their personas and high probability indicators. Examples of general drip campaigns include e-newsletters, blog posts, webinars, whitepapers or relevant industry news. They’ll be successfully moved into the sales process. You’ll be unable to connect with them. You will deem the prospect as not ready for your sales process. They’ll be eliminated and deemed as disqualified. In the first three scenarios, you’ll want to implement the reengagement campaign to continue to reinforce your message, educate them on the problem they face and its importance, and ensure you’re there when an opportunity does arise. At any point in time, your database may include leads that have become motionless. The reengagement campaign gives them the opportunity to become more actively involved and allow themselves to be nurtured again by your sales development team. Education campaigns challenge your leads to consider the benefits of your product or service, and provide unique insights to how they can do their job better and more effectively. This is done through a Teaching Point-of-View (TPOV) Campaign, Product-Focused Campaign or a Competitive Drip Campaign. Through powerful messaging, the TPOV campaign is designed to provoke and reframe a prospect’s beliefs, mindset or thoughts about their current situation. It's successful when it stimulates the prospect to think and become curious. TPOV campaigns focus on the prospect’s world and are about their issues and not your solution. The product-focused campaign communicates specific product information based on what your business can offer. As you continue to communicate and work on the relationship with your prospect, they will be interested in learning about additional and more specific product information. During this campaign your messaging should address the pain points of your prospects and how you can work with them to determine the cause, and then find a solution to solve the problem. The use of customer testimonials and industry case studies that provide relevant information will not only give valuable information, but reinforce your business’ expertise. The competitive drip campaign is to be used once you have additional knowledge about your current competitive situation with a group of leads – either you’re competing for business against someone specific, or a known competitor is the incumbent. Competitive information as well as customer feedback may influence your content, but this is where you can really sharpen your message to highlight key differentiators and why they matter. In this campaign, the leads you’re targeting are most likely comparing your business with that of your competition. Active funnel campaigns are focused on the leads that have actively entered into the buyer’s journey and are closest to becoming paying customers. It’s where the rubber hits the road…where marketing and sales work in complete alignment to bring all of your work to the final goal – the paying customer. The three most effective lead nurturing campaigns during this time are the Lead Introductory Campaign, the Marketing Qualified Lead (MQL)/Middle-of-Funnel (MoFU) Campaign and the Sales Qualified Lead (SQL)/Bottom-of-Funnel (BoFU) Campaign. At this point your leads should be familiar with your business, have assessed the competition and do consider you a sound and respectable option for a possible purchase. The goal of the lead introductory campaign is to sell them on “why we should talk,” not “why you should buy” and focuses on building a trusting, more face-to-face type relationship with your leads. The purpose of the MQL/MoFU campaign is to increase the desire of the prospects to engage in a qualified sales conversation. Targeted, personalized communication is most effective, preferably through direct, personal emails, or a phone call from the sales development department. Messaging should focus on answering the question “why change?” or “why change now?” The end goal is to communicate the immeasurable value of working with your business. Sales/sales development and marketing alignment is critical during this type of campaign. The SQL/BoFU campaign is designed to fully support sales. At this point in your lead nurturing process, salespeople are actively engaged in a defined sales process. Messaging should support the ongoing conversations sales reps are having with the prospect. Alignment with marketing and sales development is even more important, and communication within the team is a top priority. There’s a lot to think about when developing lead nurturing progams. That’s why Imagine created this ebook: The Executive’s Guide to Effective Lead Nurturing. It goes into far more depth about the types of campaigns I described today and provides significant information about creating lead nurturing programs that will work for you. Lead nurturing is complicated. It takes significant effort to implement an effective program. However, remember the statistic I opened with…98% of MQLs never result in closed business…can you really afford not to invest in lead nurturing?